This work describes the Diels–Alder reaction of the naturally occurring substituted butadiene, myrcene, with a range of different naturally occurring and synthetic dienophiles. 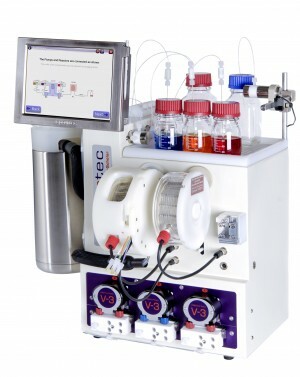 The synthesis of the Diels–Alder adduct from myrcene and acrylic acid, containing surfactant properties, was scaled-up in a plate-type continuous-flow reactor with a volume of 105 mL to a throughput of 2.79 kg of the final product per day. 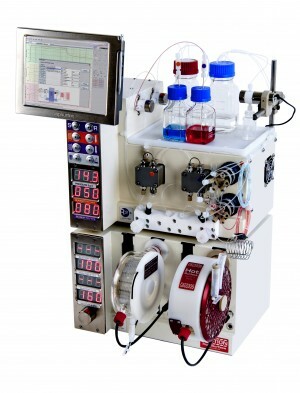 This continuous-flow approach provides a facile alternative scale-up route to conventional batch processing, and it helps to intensify the synthesis protocol by applying higher reaction temperatures and shorter reaction times.